You also need to buy some plain plastic shower rings. The other two items you need are paint and sand. Use any paint you have around from a previous project and I just scooped some sand out of the sand box…ssshhh! Step 2. 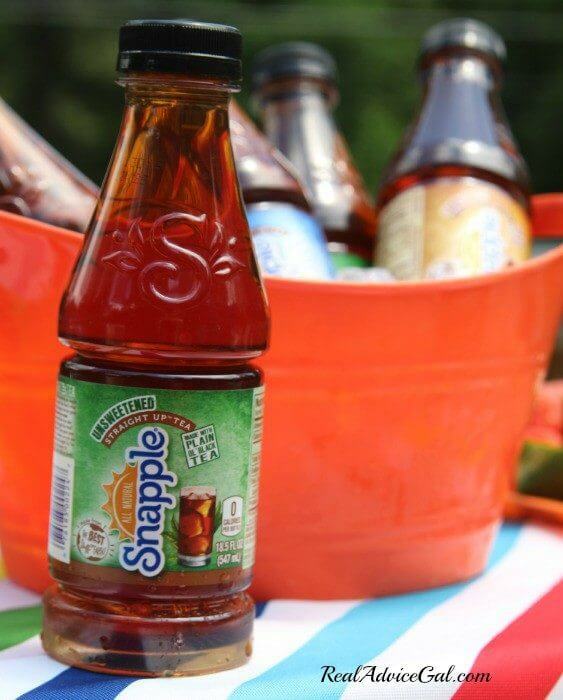 Sip your summer and drink some tea. You need to have empty bottles to make the game. You only have to share with the rest of the family if you want. 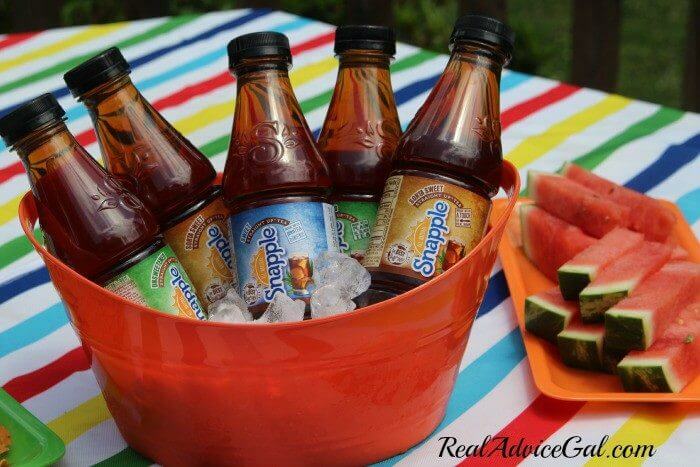 I shared with the kids and I had 9 empty bottles in no time. Step 3: Rinse the bottles and let them air dry. Then remove the labels. 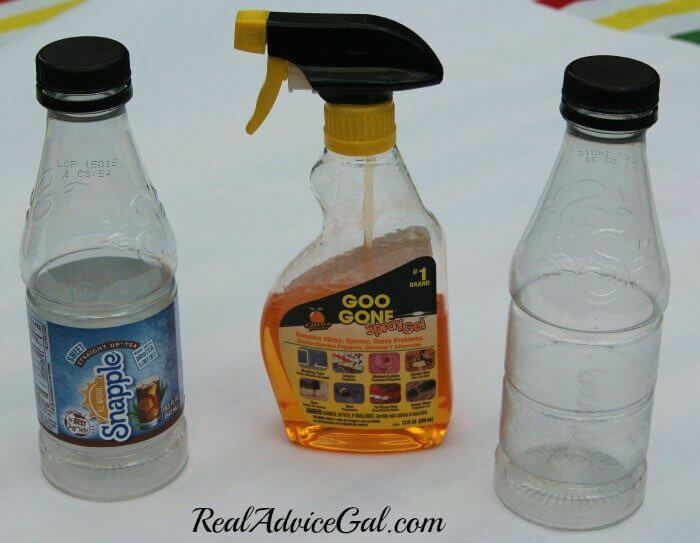 Get out your goo gone and get rid of any sticky residue from the label. Step 4: Grab the kids to help with this step. 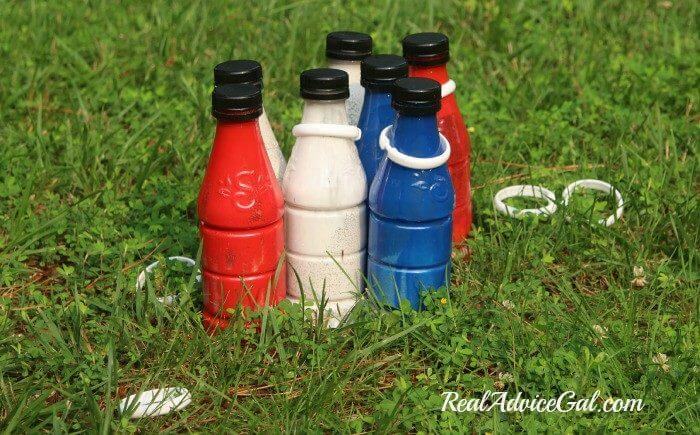 Pour some paint into each bottle along with a few drops of water. 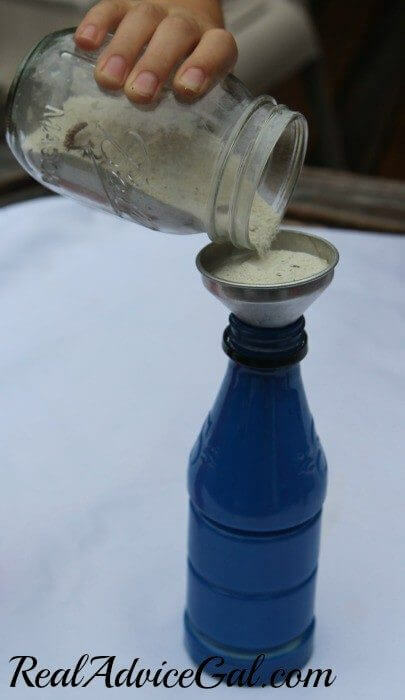 This is not an exact science so just add what you think is enough to coat the inside of the bottle. You can always add more or dump some out if you have too much. Then put the lid back on (VERY IMPORTANT) and let the kids shake them. Step 5: Remove the tops and let the paint dry. Once it is dry fill about 1/2 way full with sand. This is so the bottles don’t tip over when the rings hit them. Put the cap back on. 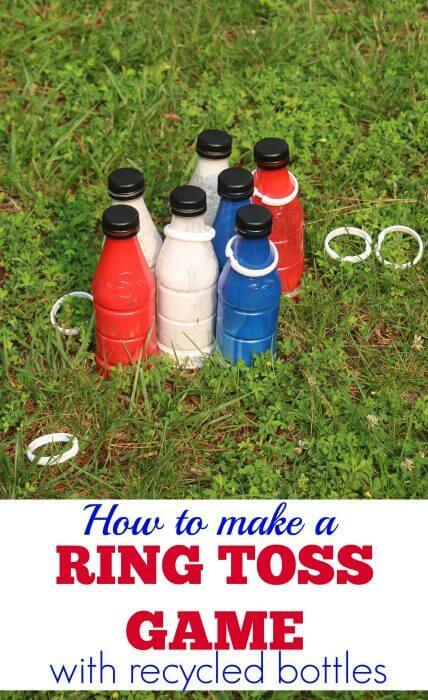 Step 6: Set up your new ring toss game out in the yard. Tell the kids to have at it! They can keep score by counting how many ringers they get or just enjoy throwing the rings! 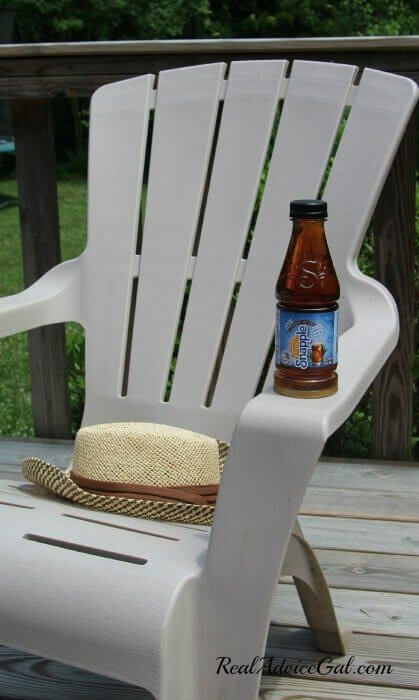 While they are playing you can sit back, relax, and sip on some ice cold sweet tea. And that folks is how I create time for me during the sweet months of summer. 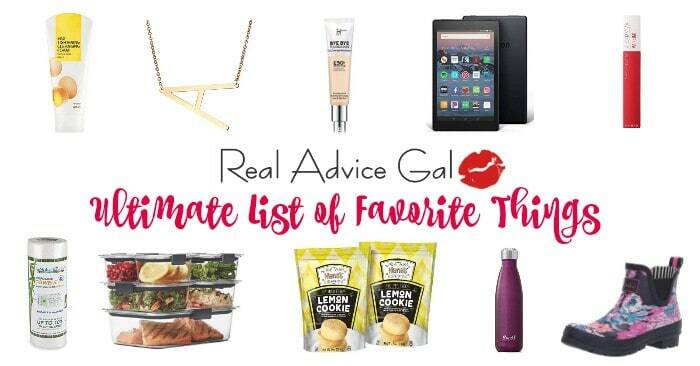 What do you do to relax during the summer months? Please share with us in the comments below.